F-Open shooter Kenny Adams has enjoyed a spectacular 2013-14 season. Over the past 12 months “King Kenny” enjoyed a string of successes that established Adams as the man to beat in the ultra-competitive F-Open ranks. After finishing second at the 2013 F-Class Nationals, Kenny won the 2013 World Championship. He then won a series of regional matches heading into the 2014 National Championship. There he finished on the podium with a 3rd Place finish in the individual competition. He then earned gold as a member of the winning 4-man F-Open squad, Team Grizzly. We don’t think any other F-Open pilot has put together a stronger season. 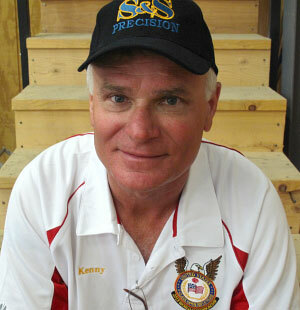 Kenny pushes those 180gr hybrids with the 7mm Remington SAUM (RSAUM) cartridge. 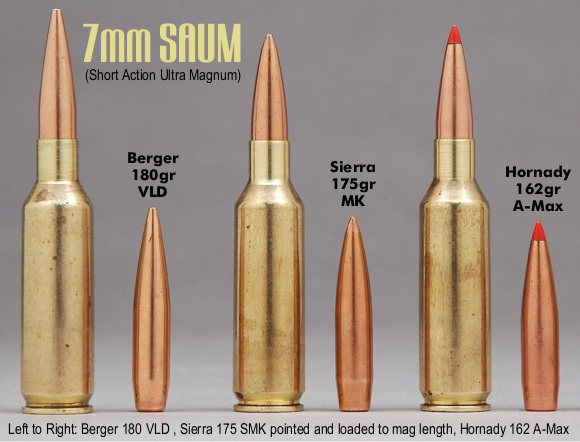 A “new-generation” magnum, the RSAUM resembles a 6mm BR Norma on steroids. It has the same short, fat appearance, just scaled up — way up. This gives the 7mm RSAU the capacity to drive the big Berger 180-grainers at optimal velocities. The image below shows the older Berger 180gr VLD. Kenny shoots the newer 180gr Hybrid. They are both very, very accurate. Pictured above is Kenny Adams holding his 1st Place Plaque from the 2013 F-Class World Championship. 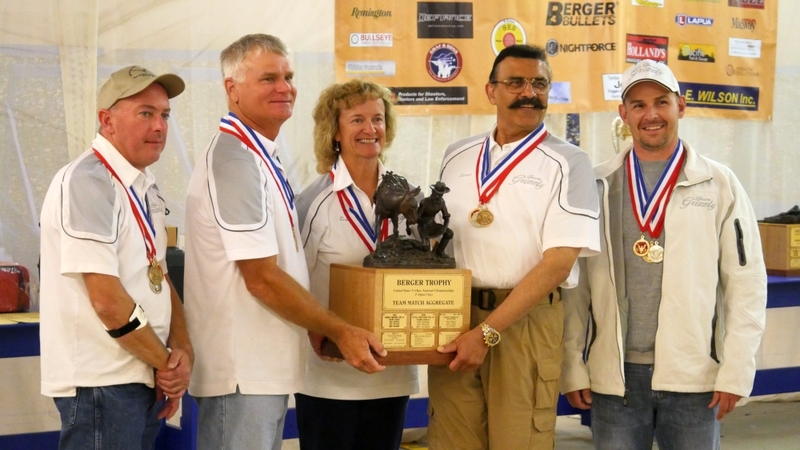 To the right, Ken (with fellow Team Grizzly members) is pictured at the 2014 F-Class Nationals accepting the Berger Trophy for the First Place F-Open 4-Man Team. 2013 – F-Class Nationals – 2nd Place F-Open. 2013 – F-Class World Championship – 1st Place F-Open. 2013 – Christmas Match in Florida – 1st Place F-Open. 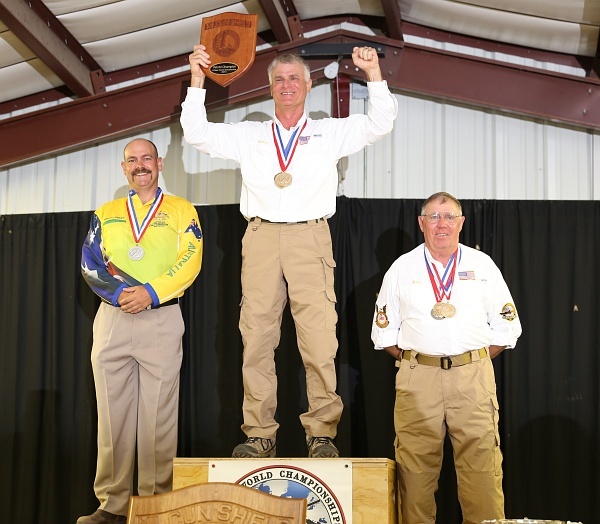 2014 – Southwest Nationals – 1st Place F-Open 4-Man Team Grizzly (Set National record). 2014 – Orange Blossom Regional – 1st Place F-Open. 2014 – Sinclair East Coast Fullbore Nationals – 1st Place F-Open and set new Fullbore national record. 2014 – Mid West Palma – 1st Place F-Open 1200-yard match and set 1200-yard record. 2014 – F-Class Nationals – 3rd Place F-Open. 2014 – F-Class Nationals – 1st Place F-Open 4-Man Team Grizzly. 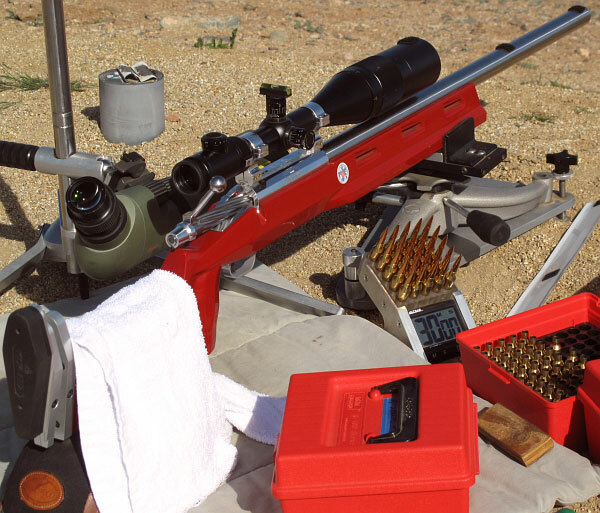 For his 7mm RSAUMs Kenny loads Hodgdon H4350 powder and Federal 215m primers into Nosler or Norma RSAUM brass. In the RSAUM he runs Berger 180gr Hybrid bullets seated “just touching” the lands. Kenny is very precise with his charge weights. Using a Sartorius Magnetic Force Restoration scale, Kenny tries to hold his powder charges to within 1-2 kernels charge-weight consistency. When you get it all correct, when every phase of the reloading process has been carried out perfectly, then you have rounds that can set records and win world titles. So what does championship-grade ammo look like? Take a look at the photo above. 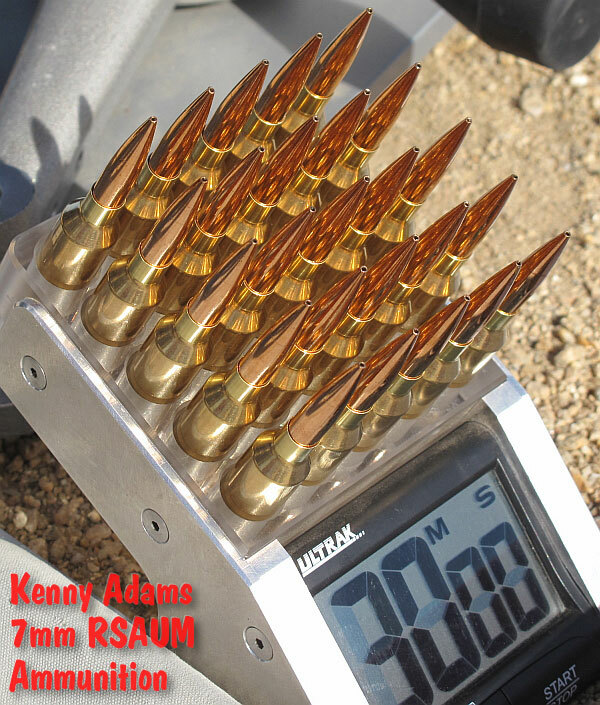 This is the 7mm RSAUM ammunition used by Kenny Adams at the 2014 Berger Southwest Nationals (SWN). Kenny is the 2013 F-Class World Champion. Share the post "King Kenny and the Rise of the 7mm RSAUM"